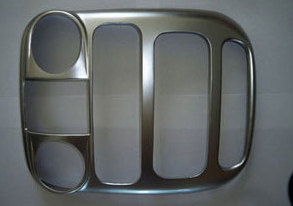 Flamed etched door panel kit designed to fit all 4 doors of your PT Cruiser. Finally what everyone has been asking for! 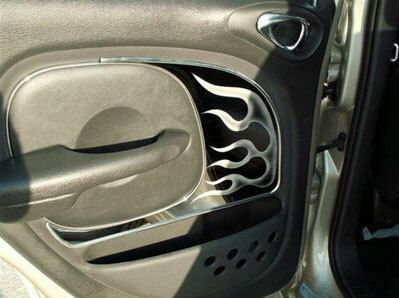 Our flamed etched door panel kit designed to fit on all 4 doors of your PT Cruiser. These stainless door panels install with a 3M attachment tape included. This kit comes complete with our 8-pc Door Trim Kit making it an exceptional value. The kit will complete all 4 doors of your Cruiser.